Why does the fashion world hate Kate Middleton? At a fashion show at the New York Library on Wednesday afternoon, the talk was all about one subject: Kate Middleton. Or rather, Princess Catherine, as we are now obliged to call her. Such had been the buzz around her and William’s trip to Canada and Los Angeles earlier this summer, that’s hardly surprising. Except that at New York fashion week, they were queuing up not to praise her but to slate her. The debate was sparked when one American fashion commentator declared of our future Queen: ‘If you take Kate out of the royal family, put her on a street in New York, you wouldn’t look at her twice’. It didn’t take long for others to join in the assault, berating her sense of style and doubting that the ‘Kate Effect’ would stand the test of time. ‘She’s a very ordinary girl’ one fashion editor told me dismissively; ‘she needs better make-up’, added another. Wherever I turned, the sentiment was the same. Why such enmity? Yet I have increasingly come to believe that Kate is the one who’s got it right, and that it’s the fashion pack who are in the wrong. For a start, there can be no denying that Kate has been good for British fashion: every time she wears a Reiss dress (one of the few truly British labels left), it sells out. She’s good for women’s morale, too. I applaud the fact that unlike most high-profile women, she doesn’t feel the need, yet, for a stylist — surely the most overrated job title in Christendom. I also believe Kate has successfully honed and refined her look, leaving her early disasters behind her, developing a style that is both elegant and accessible. She is growing up, finding confidence. Her simple mixes of designer with High Street have become a signature style that is more in keeping with these troubled times than being an out-and-out clothes horse. She’s begun to show us what she can do on the red carpet, too. My personal favourite was the Jenny Packham column dress she wore to the financier Arpad Busson’s ARK charity gala in June this year in Kensington. Sheer at the neck and shoulders and nipped in at the waist, she wore it with loose, tumbling bed hair and looked absolutely sensational. Then there was the stunning flowing lilac gown cinched in with silver belt that she wore to a BAFTA event in Los Angeles. There she outshone a plethora of Hollywood stars in one fell swoop. Why, then, have the tsarinas of style taken against her? I suspect it’s partly because Kate will never wear clothes like we fashionistas do: with reverence, and a grim expression. Her huge smile is the best accessory she could ever have. She also manages to look elegant yet effortless. What a contrast to the style icons who have to know the key, covetable pieces each season, and order them in advance. 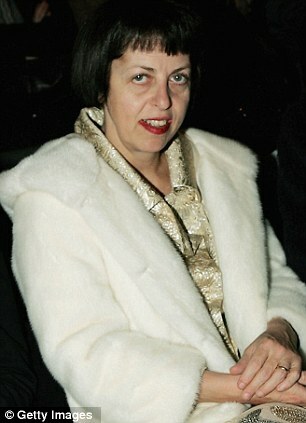 Take the late fashion stylist Isabella Blow, who was most certainly an icon. She had an assistant to accompany her on the Tube to her office at Tatler in case animal rights protesters splattered her fur coat with paint. And let’s be honest, more often than not she looked downright ridiculous. The truth is, being a fashion icon isn’t about being beautiful. It is about wearing expensive and often uncomfortable and ridiculous clothes to ensure you’re ahead of the pack. Hardly the domain of a future Queen. What’s more, for all their sneering at Kate, style-setters tend to have gaping holes in their personalities. They think dressing ‘edgily’ (ie, wearing the new snakeskin knee boots by Prada with knitted shorts, a tan, an orange tote by Michael Kors and a blouse by Celine) makes them interesting. Take it from me, it doesn’t. It largely makes them broke. And difficult to be around. Ever wondered why us fashion folk look so miserable? Our feet hurt from being crammed into shoes built for style, not comfort. All this autumn/winter clothing we’ve been wearing in a boiling Indian summer in Manhattan makes us hot and itchy. Kate doesn’t need to fret about any of this. Lucky her. Yes, she needs to be well groomed, but she also needs to be able to stand, for hours, and look cheerful and animated. She will be spending her life kneeling by the side of old people and bending down to talk to children. But, I hear you murmuring, didn’t the likes of Grace Kelly manage all this and attain style icon status? Yes, but being considered a style innovator these days is no longer about elegance, which Kate has in abundance. The luxury goods business, unlike in Grace Kelly’s day, is a huge, hungry, ever-changing monster. Today, being fashionable is about wearing the most expensive, newest thing on the planet, regardless of whether it suits you, or you can afford it. There is no subtlety: labels have to be screamed so the proles get the trickle down and purchase the perfume. That’s why I hope Kate doesn’t feel she has to change her style. She should stick to designer labels she feels comfortable in, such as fashion designers Erdem, Christopher Kane and Jonathan Saunders. She should also ignore the PC brigade who tut-tut at anyone who spends more than £50 on a dress. Kate needs good fabrics that won’t crease, or show lumps and bumps. This isn’t about money, it’s about taste. She has to be careful, too, as whatever she wears will be snapped up or copied, so she must avoid the unethical and the cruel, which rules out most of the major labels anyway. Niggling points? A make-up artist would be a wise investment, to wean her off those too-smoky eyes. And in time, perhaps a dresser, to make sure not a stray thread is out of place. As for the bleatings of the fashion crowd, she should consider it a compliment. Fashion icons are two a penny. What we don’t have enough of is women who are inspiring because of their hard work, loyalty, kindness, sense of humour, intelligence and elegance. Anyone can don a daft hat. It’s what lies beneath that’s important.